GNLD’s global research and development team works around the clock to bring you the most advanced products in the world. At any hour of the day, someone, somewhere, is brainstorming or researching an idea for a new GNLD product, performing a laboratory test to assure the safety, quality, purity, and efficacy of a raw material, or developing an innovative technology that will be used to create products that truly make a positive difference in people’s lives. Today science is moving faster than ever before. Sometimes it is difficult to keep up with all the research breakthroughs and assess if new products are based on sound science. 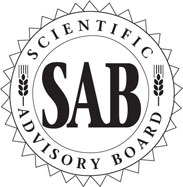 GNLD’s Scientific Advisory Board (SAB) provides the perspective necessary to sort out the facts from the fads. This talented group of scientists, technologists and product professionals is the main reason our unequaled products continue to hold leading-edge positions in the global marketplace. Our SAB members are some of the most prominent professionals in their fields - you will not find a more distinguished, committed, or hard-working group anywhere! forecast and evaluate the health challenges facing us and our planet today and in the future. create new products to fulfill genuine human needs. act as a proactive resource to keep GNLD at the forefront of significant scientific and technological developments. guarantee superior product performance and safety. Meet your Scientific Advisory Board! Arthur Furst, PH.D., SC.D., D.A.T.S. 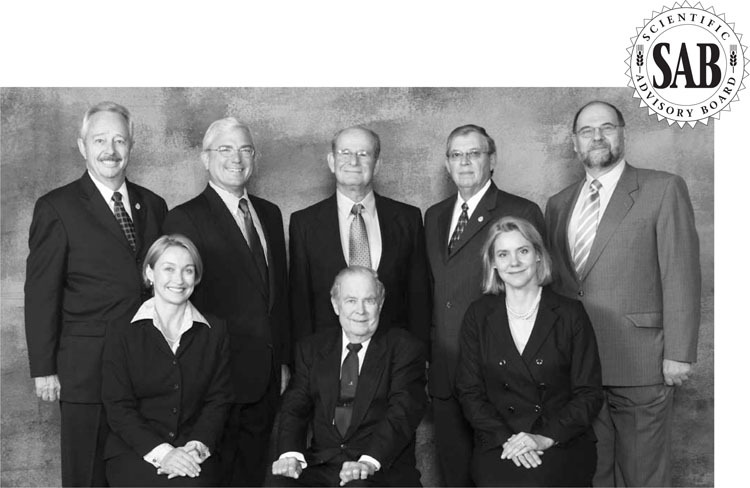 Dr Arthur Furst acted as Senior Member of the GNLD Scientific Advisory board for 25 years. 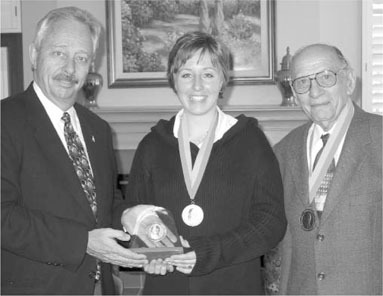 He retired in January 2000 at the age of 85 and continued to meet with SAB Founder and Facilitator, JohnMiller, in an advisory capacity until he passed away in December 2005. 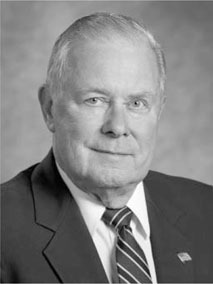 He was dedicated to improving health through good nutrition, Dr. Arthur Furst was the founding member emeritus and “spiritual leader” of GNLD’s Scientific Advisory Board. He received A.B. and M.A. degrees in Chemistry and Math from the University of California, Los Angeles (UCLA), a Ph.D. in Chemistry from Stanford University, and a Doctor of Science (Sc.D.) from the University of San Francisco (USF) for pioneering work in toxicology. A “Renaissance man” of science, Dr. Furst was highly regarded in the global research community. He was reconfirmed as a Diplomate of the Academy of Toxicological Sciences, a distinction held by only about 100 scientists worldwide. 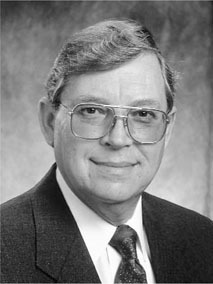 Dr. Furst retired from academia in 1980 after years of distinguished service at Stanford, UCLA, and USF. He served on the Chemistry and Biochemistry Department Advisory Committee for UCLA and is a Distinguished University Professor Emeritus at USF. In 1992 he received the UCLA Alumni Award for Excellence in Professional Achievement. 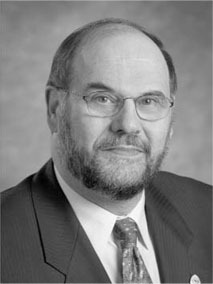 Dr. Furst is internationally regarded as a pioneer in toxicology and cancer research. As a founder of the Stanford Cancer Chemotherapy Laboratory, he researched cancer-fighting compounds even before the American Cancer Society and the National Cancer Institute were established. Almost 50 years ago, Dr. Furst made two discoveries which have since been applied so extensively that today they are standard procedure for physicians treating cancer patients. Dr. Furst was among the first to demonstrate that chemotherapy drugs could be administered orally. He also discovered that cancer cells could develop resistance to chemotherapy agents, much like bacteria become resistant to antibiotics. This discovery led to the practice of treating cancer patients with multiple anti-cancer agents. Dr. Furst’s extensive cancer research led him to study toxic substances, notably heavy metals that cause cancer. In 1990 Dr. Furst received the Klaus Schwarz medal at the International Toxicology Congress in Tokyo. This award is given every four years to the world’s foremost authority on toxicology. Since 1981, he was a consultant in toxicology and chemistry to various industries and government agencies, including the World Health Organization and the Environmental Protection Agency. A member of 15 scientific societies and Fellow of five, Dr. Furst had authored more than 250 publications in the fields of cancer research, organic synthesis, psychopharmacology, and toxicology. Among his most recent contributions were experimental models that offer revolutionary humane alternatives to animal testing. For many years, Dr. Furst’s research had shown that certain substances in the diet could cause cancer and that certain nutrients could help protect individuals from dietary and environmental carcinogens. Dr. Furst sought a practical way to apply his findings for human benefit. In 1978, he found a “perfect fit” with GNLD. Attracted by the company’s philosophy (“Based in Nature, Backed by Science”), commitment to quality, and genuine desire to help people live long, healthy lives, he joined the business, where to this day he masterminds innovative products for GNLD. To increase the ability of the body to benefit from mineral supplements, Dr. Furst was among the first to bring chelation to the industry. One of his proudest accomplishments is Betagard®, a revolutionary nutritional protector and detoxifier that supports the body’s natural defenses against environmental toxins in air, water, and food. This product laid the groundwork for a generation of leading-edge antioxidant supplements, such as Daily Carotenoid Complex.. Dr. Furst’s enormous talent, energy, dedication, and vision are major reasons that, year after year, GNLD has been able to bring you leading-edge products that fulfill genuine human needs. Dr. Carughi received her B.A. in Biology/Ecology and Conservation from Vassar College, M.S. in Human Nutrition from Columbia University, and Ph.D. in Nutritional Sciences from the University of California, Berkeley. 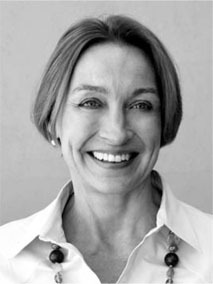 She is a Fellow of Stanford University, a Certified Nutrition Specialist, and a recipient of the International Institute of Education scholarship, the Neizer Fellowship from Stanford University, and a National Institute of Health research grant in experimental nutrition. Her research has been published in numerous scientific journals. Fluent in English, Spanish, and Italian, Dr. Carughi has extensive contacts within the global scientific community and is particularly enthusiastic about the leadership role that the GNLD SAB plays in facilitating the international exchange of groundbreaking nutritional research. As a university researcher, Dr. Carughi focused on nutrients - especially proteins and vitamins such as folic acid - playing key roles in growth and development. Now she applies these skills across a much broader spectrum of research challenges. In 1996, she was appointed to the organizing committee for the Plant Phenolic Interactive Group, a global group of phytonutrient researchers. At GNLD, Dr. Carughi’s leadership is invaluable in helping develop innovative products. Dr. Hooper earned his B.S. in Biology, Chemistry, and Math from Stephen F. Austin University in Texas and his Ph.D. in Biochemistry and Nutrition from Texas A & M University. He did postdoctoral research at the Institute for Biomedical Research at the University of Texas and taught science at high school and university levels. 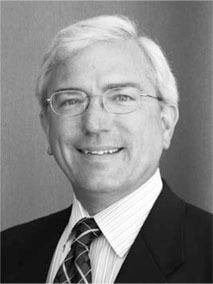 Dr. Hooper has participated in research of vitamins, hormones, lipids, and amino acids, and is credited with numerous scientific publications. Dr. Hooper brings to GNLD an in-depth understanding of the intricate environment of the individual human cell and a fierce dedication to protecting the biological integrity and health of that environment. GNLD depends on Dr. Hooper to know how each product will react in the body and to evaluate new products in the context of the current state of research. A noted product formulator, Dr. Hooper explores how nutrients from whole foods work together to nourish, protect, and regenerate cells, and how whole-food supplements can provide optimal nutrition at the cellular level. With the goal of optimizing health and longevity for people everywhere, Dr. Hooper lectures throughout the world to provide diverse audiences with the “straight talk” they need to make informed decisions about their health and nutrition. Originally a Silicon Valley electronics engineer, Mr. Miller is GNLD’s Vice President of Science and Technology. His scientific and technical experience includes more than three decades of manufacturing administration, domestic and international product development, and international research and marketing for GNLD. Mr. Miller’s efforts have brought more than 500 products to almost 50 countries. Adept at long-range planning and problem solving, Mr. Miller determines the feasibility of products while they are still in the conception stage. He then guides products through development to introduction, coordinating with scientific, manufacturing, regulatory and consumer groups to ensure that specific requirements are met. Mr. Miller is the coordinator, communicator, and organizer of GNLD’s SAB activities. He understands the high-tech climate of today’s health and nutrition industry, and GNLD depends on his superior communication abilities to translate the latest research findings into information lay people can understand and products they can use. Mr. Miller works closely with the Council for Responsible Nutrition and the Direct Sales Association to support GNLD’s health and business interests. He is a member of the New York Academy of Sciences and the Society of Cosmetic Chemists. His ongoing concerns include health claims regulations, promoting health awareness, and environmental issues such as protection of our water supply. 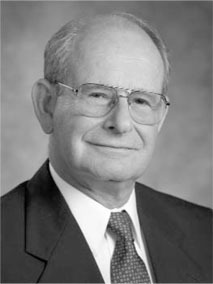 Gordon W. Newell, PH.D., A.T.S. A graduate of the University of Wisconsin, Dr. Newell received a B.A. in Chemistry and an M.S. and Ph.D. in Biochemistry. He joined Stanford Research Institute as Senior Biochemist and for 28 years directed one of the first toxicology departments in the U.S. Dr. Newell has held many administrative research positions, designed and evaluated laboratory facilities and conducted chemical and environmental research in the fields of biochemical toxicology, food additives, industrial chemicals, drugs and pesticides. Dr. Newell served as Associate Executive Director of the Board of Toxicology and Environmental Health Hazards (National Research Council/ National Academy of Sciences) and Senior Programme Manager for Health Studies at the Electric Power Research Institute. Author of more than 80 technical publications and several hundred client-confidential reports, he has been an invited speaker and participant at numerous scientific meetings worldwide. He has been a member and chair of advisory and review committees for various organizations, including the Society of Toxicology, the American College of Toxicology, the Environmental Mutagen Society and the Society for Risk Analysis. 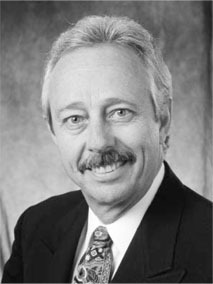 Dr. Newell is a Fellow and Vice Chairman of the Board of Directors of the Academy of Toxicological Sciences, with which he has been affiliated since 1981. He uses his extensive scientific knowledge to ensure that GNLD products are the global “gold standard” for safety and efficacy. Dr. Shepherd received his B.S. degree from Durham University (United Kingdom), and M.S. and doctorate degrees in Microbial Biochemistry from Manchester University (U.K.). He completed postdoctoral studies in Microbial Enzymology at the University of California, Davis. A world-renowned biochemist and phytonutrient expert, Dr. Shepherd has authored 16 scientific publications and 12 patents. Dr. Shepherd has a broad background in manufacturing, including extensive experience in more than 40 global markets as Worldwide Director of Food Beverages for one of the world’s largest food companies. As Director of Product Science and Technology for Europe and Africa, he guides GNLD’s nutritional and product research efforts at the European Technology Centre in France. 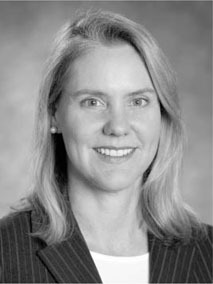 Fluent in French, German, and English, Dr. Shepherd is an important participant in the international research community. Dr. Shepherd brings to GNLD an authoritative perspective of all aspects of food technology, from food biochemistry and raw materials to food and beverage development, manufacture and distribution. He is also knowledgeable about the history of whole foods, the global food supply, and the effect of current market trends on nutrient diversity and availability. A strong believer in natural approaches to health and longevity, Dr. Shepherd believes that dietary supplementation is essential to achieving optimal health and preventing age-related diseases. Dr. Somogyi attended the University of Agricultural Sciences of Budapest, Hungary and received M.S. and Ph.D. degrees from Rutgers University in New Jersey. He worked 16 years in various technical positions in the food industry and was a senior food scientist at Stanford Research Institute (now SRI International). He is now Senior Consultant at SRI’s Health and Speciality Chemicals Centre. He is an expert in product development, nutritional values of processed foods and beverages, regulatory and economic aspects of food ingredients and additives, the biology, processing and utilization of fruits and vegetables. Author of more than 40 scientific papers, Dr. Somogyi has contributed to and edited numerous books, including the recent Processing Fruits: Science and Technology. In 1996 he received a grant from the U.S. Food and Drug Administration to estimate amounts of key additives in the U.S. food supply. He was also appointed to the liaison committee between the National Academy of Sciences and the Institute of Food Technologists, the world’s largest international organization of food scientists, of which he is a Fellow and Executive Committee member. A member of the American Association of Cereal Chemists and the Industry Advisory Council to the Department of Food Science and Nutrition at the University of California, Davis, Dr. Somogyi brings to GNLD expertise in all aspects of food science. Dr. Clayton earned her B.S. degree in Biochemistry from the University of Bath in the United Kingdom and her Ph.D. degree from the University of Fribourg in Switzerland. A well-qualified biochemist with extensive international experience in Research and Development within the nutritional healthcare industry, Dr. Clayton has extensive knowledge of nutrition, medical science, and complementary medicine and is an expert in pharmaceuticals and foods. Dr. Clayton’s career has included carrying out ingredient research and development of products, including weight management products, sport and nutritional drinks, and infant and baby nutrition. She has recently focused on new products and technologies in the area of functional nutrition. Extremely well-published and a health practitioner in Nutrition Therapy and Phyto-Therapy, Dr. Clayton believes in the importance of complementary medicine - where collaborative efforts produce much stronger results than those of an individual. Dr. Clayton is a member of the Nutrition Society of Great Britain, the British Nutrition Foundation, the Swiss Nutrition Society, and the International Society for the Study of Fatty Acids and Lipids. Fluent in English, French, and German, and with basic Spanish skills, Dr. Clayton has extensive contacts within the international scientific community and believes that product development in the field of nutrition is an important way of reaching into our global community. With an educational background in Biological Sciences, Mark Lowman began his career researching and developing phyto-nutraceuticals, specializing in alternative nutrient delivery systems for the horticultural and specialty agricultural industries. Much of this development work focused on polymeric coatings and films and their use to create controlled-release formulations. In addition to his work with product development, Mark Lowman became a certified expert in quality control systems, managing quality control and assurance. Mark Lowman has a deep conviction regarding the importance of good nutrition leading to good health. This conviction, combined with his work with phyto-nutraceuticals, led to a natural progression towards the field of human nutrition. Since 1995, Mark Lowman has been an integral part of GNLD’s product development team, following established guidelines to create new products and conducting extensive product testing to assure that the best possible products are available to GNLD customers. His outstanding skills in both the laboratory and the factory have produced years of successful work with GNLD’s Scientific Advisory Board, turning advanced product concepts into functional finished products manufactured and distributed throughout the world. Mark Lowman has contributed to the development of numerous GNLD products, including Tre-en-en capsules, the GR2 Control weight loss products, Salmon Oil Plus, Full Motion, and many others. He is a member of the Institute of Food Technologists, the American Chemical Society, and the American Institute of Biological Scientists. Mark Lowman served on the Botanicals/Quality Standards Committee for the Council for Responsible Nutrition and is a past member of the American Association of Pharmaceutical Scientists. As well-respected leaders in their fields, GNLD’s SAB members are also highly regarded participants in the global scientific community. They are annually invited to attend as many as 100 prestigious scientific meetings, where they both present their original research findings and learn from the breakthroughs of others. GNLD also sponsors numerous scientific events and conferences each year. The SAB’s constant and professional presence within the global scientific community gives us the opportunity to gain knowledge, insight and opportunities that none of our competitors can match. For instance, due to the SAB’s involvement in certain areas of research, our Carotenoid Complex supplement attracted the attention of several scientists, including a United States Department of Agriculture (USDA) research group that went on to publish studies showing that Carotenoid Complex enhances the body’s defence system in normal, healthy people, making our product the first carotenoid supplement ever proven to be immuno-enhancing. Two more USDA studies also showed that Carotenoid Complex reduced oxidative damage in the body. All our nutritional and herbal products proudly bear the SAB seal to let you know that the GNLD SAB - leading authorities in their fields of expertise - has reviewed and approved the formulation. Qualified scientists, doctors and nutrition professionals evaluate the health challenges you face and search for solutions to promote and protect your long-term well-being. Our products are based on the most recent and complete scientific understanding and are developed using innovative technologies to maximize your nutritional benefit. Our products are tested and certified using reliable, state-of-the-art scientific methods to ensure safety, quality and effectiveness. GNLD products are of the highest quality - you can represent them with pride and confidence! GNLD’s SAB will provide sound, scientific guidance to help make informed choices about your overall well-being. GNLD believes in supporting scientific discovery at all levels, as the foundation of knowledge is built with “bricks” of understanding created and placed by many minds. GNLD endows the Arthur Furst Undergraduate Scholarship in honour of GNLD’s senior SAB member. The scholarship is awarded annually through the University of San Francisco to an outstanding undergraduate science major with a strong desire to pursue research. Similarly, GNLD sponsors the Lester Packer Young Investigator Award to reward outstanding research at the graduate level. Backing every one of our products is GNLD’s Global Science Network. The GNLD Scientific Advisory Board regularly calls upon the considerable talents of a global network of researchers, product technicians and engineers selected for their unique expertise, qualifications and abilities. These scientific liaisons are affiliated with universities, laboratories and institutes, both public and private, throughout the world. This extensive network of experts ensures that we know our business inside and out. Unfortunately, this level of scientific support is the exception rather than the rule in our industry. Regardless, it is necessary to assure the safety and purity of raw materials and the efficacy and biocompatability of finished products. GNLD Laboratories: State-of-the-Art facilities run on brain power! A technician in the GNLD European Technology Centre in Ferney- Voltaire, France, performs a quality-assurance test. To achieve product excellence, GNLD spends millions of dollars on state-of-the-art technical equipment and modern facilities. Used to assure the production of high-quality products, this leading-edge equipment is housed in our North American Research Facility in California and in our European Technology Centre in France. 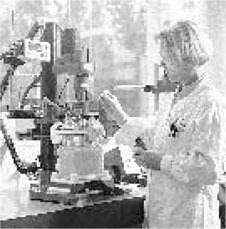 Dozens of highly trained professionals with advanced degrees can be found in these laboratories, where food technologists, microbiologists, engineers, biochemists and other nutrition experts press the frontiers of new product development while keeping an ever watchful eye on product consistency and quality. Their considerable experience and expertise assures product quality without compromise. 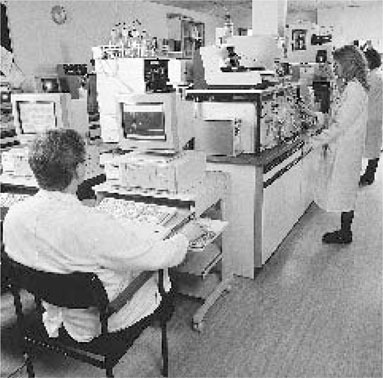 One of the many labs, this one in Zug, Switzerland, which participate in the GNLD Global Science Network. While our competitors scramble to catch up, we set the pace! As Science progresses and even accelerates, you can continue to depend on GNLD to remain a primary driving force in the global marketplace. We’re setting the pace for the industry. And while our competitors scramble to catch up, GNLD will continue to set performance records with innovative and peerless products.